Natural Born Cartoonist: Cover Illustration for "Pena Kosong"
The 3 samples of Cover Illustration for "Pena Kosong". 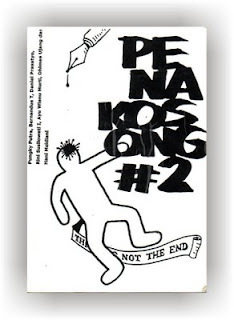 Pena Kosong are indie-writers community based in Jogjakarta, Central Java, Indonesia. Members are open to everyone and they are from various background: teachers, students, musician, housewifes, security-man, unemployed, etc. First published in 2004. I've done the cover-illustration from this first edition until now, the 13th edition.